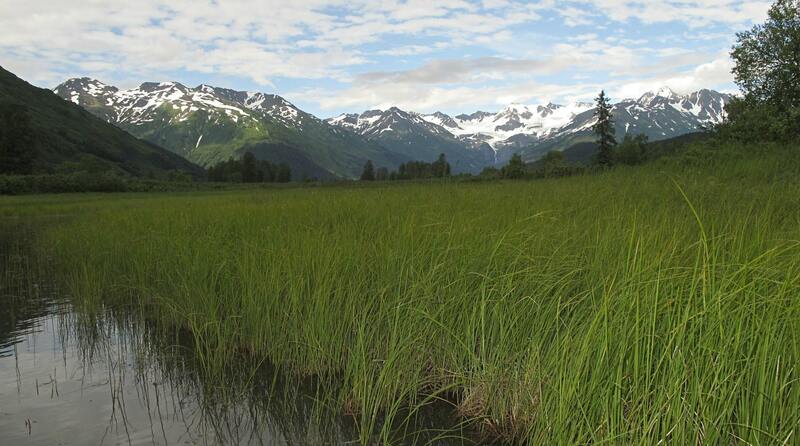 If you ask an Alaskan what Alaska is famous for…each answer would be as unique as the individual themselves. Some people would say the panoramic views of Denali, some would say the vastness of the last frontier, some would say the huge cabbages we see at the Alaska State Fair, some would say our state bird the “Mosquito”, but very few would say rhubarb. After our long wondrous winters, you can count on the rhubarb to be one of the first signs of spring. There is nothing more eye opening than to stand in front of a mature rhubarb plant that is 3 feet high and 4 foot across. 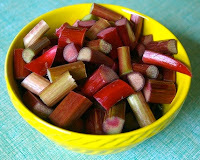 In my quest to use the ruby red rhubarb, I have discovered some great recipes. This recipe for Rhubarb crisp was made and served at an Anchorage Bed & Breakfast Association meeting. They loved it served with vanilla bean ice cream. There is no better testimonial than that! 1. 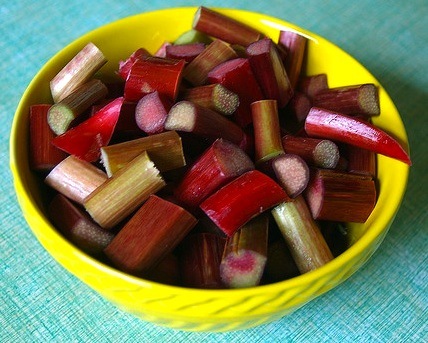 Toss the rhubarb with the granulated sugar and orange zest to coat. Place mixture in a 3 quart baking dish. 2. Dissolve cornstarch in orange juice, pour over rhubarb mixture. 3. Preheat oven 350 degrees. 4. Place the butter, flour, oats, brown sugar and cinnamon in a mixing bowl. Mix dry ingredients together with your hands until crumbly. Mix in almonds and salt. Mix the egg into the mixture last to loosely form crumbs. Spread the crumb topping evenly over the rhubarb mixture. 5. Bake about 30 minutes or until the top is golden and the rhubarb is bubbling. Lori Roth is the inkeepers at Susitna Sunsets B&B and is an active member of the Anchorage Alaska Bed & Breakfast Association.